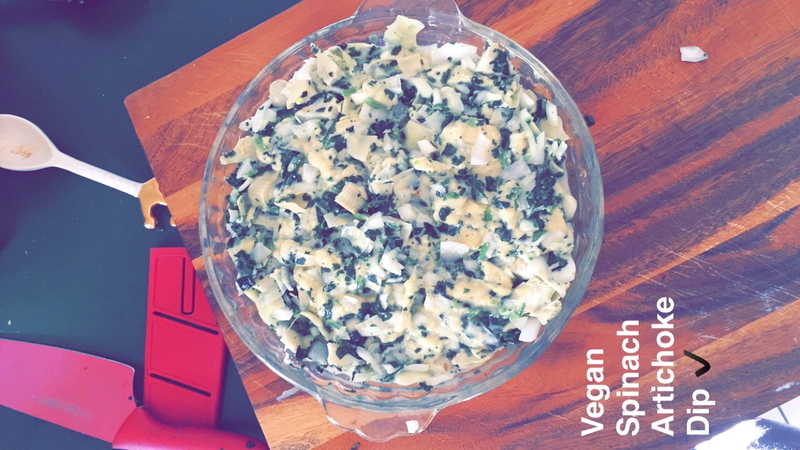 Who doesn’t love spinach artichoke dip?! I first made this for the Superbowl this year, and everyone loved it! Being a vegan, I’ve realized that you need to plan your meals/snacks ahead of time when you’re going to a party or function, otherwise you will likely go hungry! If you can’t bring food, make sure to read the labels of everything you want to eat (even crackers you think would be safe have diary in them!). 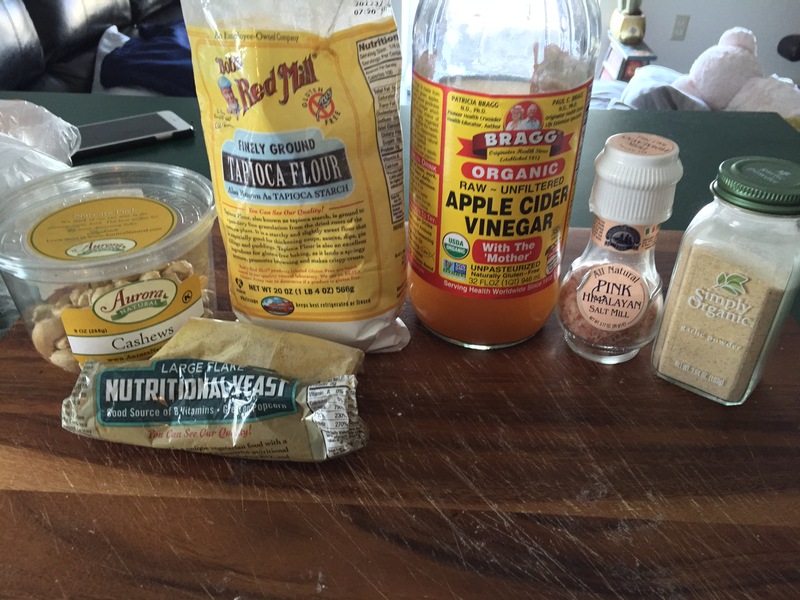 Last month (April), I was completely Vegan for 29 out of the 30 days…the 1 day I slipped up and ate a cracker BEFORE reading the ingredients and realized there was diary in it (sigh). Anyway, this is a fan favorite for both vegan and non vegans! -Bread, chips, or vegetables of your choice for dipping! 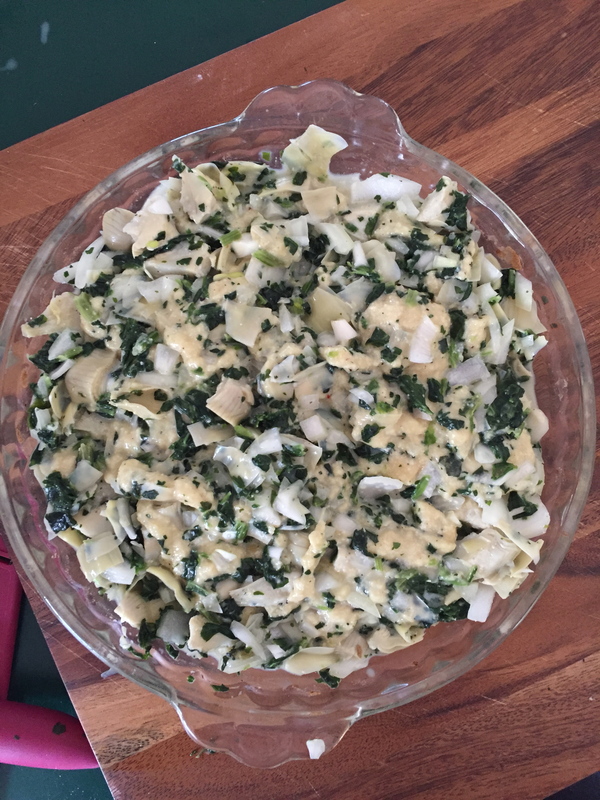 -Add all vegan mozzarella to your baking dish, along with artichoke, onion, garlic, spinach, milk, salt and pepper. Stir to make sure all ingredients are mixed well. *The mixture will probably be lumpy, that is fine! -Place in the oven for 20 minutes, stopping halfway through to stir. If it gets too thick, thin it by mixing in a bit more milk until you have reached your desired consistency. *I think I baked my dip for more like 30 minutes, I like it to be really hot when it comes out of the oven! 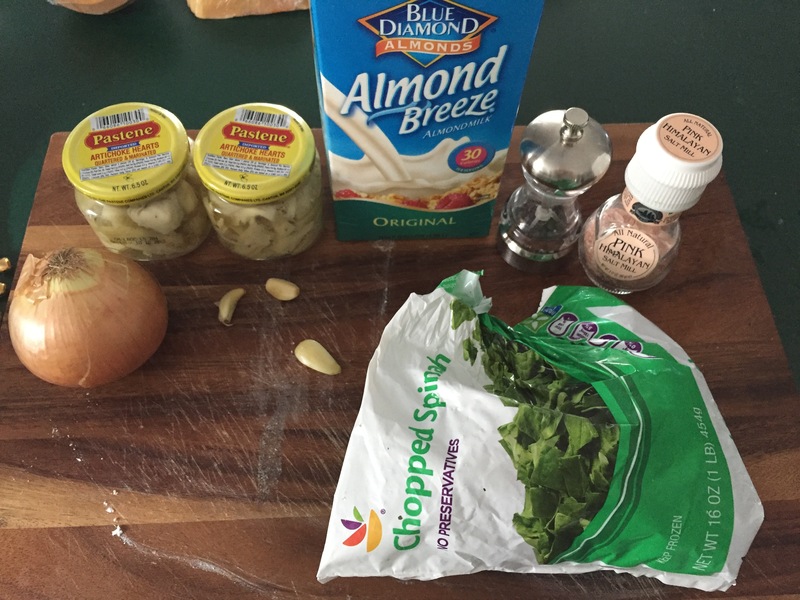 Posted in UncategorizedTagged Appetizer, Appetizers, BellinisToBlooms, Blog, Blogger, BlogPost, Dip, Dips, GlutenFree, Homemade, Organic, Recipe, Snack, Snacks, SpinachArtichokeDip, Superbowl, Vegan, VeganMozzarella, VeganSpinachArtichokeDip, VegetarianBookmark the permalink.